Bait up! If “Gone Fishing” is something you love to mutter often, then you best make sure you’re in front of the TV this Saturday afternoon. 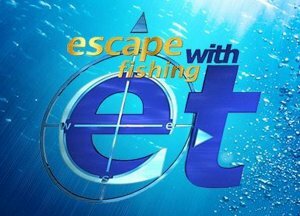 Watch Escape Fishing with ET “Capricorn Coast Reef Fish Bonanza” as he reels ‘em in on the Southern Great Barrier Reef. There’s no better spot to fish than right here in the Capricorn region! From his base at Keppel Bay Marina, they take ET’s mighty Quintrex 650 Yellowfin trailer boat on its maiden voyage to Port Clinton on Queensland’s Capricorn Coast. Offshore, it’s Mack Tuna time and a cracker of a cod is welcomed aboard the Yellowfin boat. Black Mulloway is Port Clinton’s target species and the boys hit the bullseye. ET lands a great Black Jew, but fishing companion Dean outshines with a mega mulloway of mammoth proportion. It’s one hell of a fight. This Saturday 7:30am on Network Ten, Southern Cross and WIN and Saturday 5.30PM on TEN BOLD Sunday 12pm on TEN BOLD. Click here to view the Escape trailer. « Top Aussie Influencers return to destination!